Opioid addiction has become a major epidemic in Boston and across the U.S. It is also become a hot topic for politicians and media outlets. While Massachusetts has long suffered from a major problem with heroin addiction, many times it begins with workers injured on the job who start taking painkillers such as opioids like Vicodin and Oxycontin. Once these injured workers become hooked on painkillers, the habit is often very difficult kick, even once the drugs are no longer medically necessary to fight the pain from the initial injury. In an effort to address this issue, as discussed in a recent news article from the Union Leader, New Hampshire is looking to follow Massachusetts’ lead with respect to the two-year pilot program they started to get injured workers off dangerous and addictive opioids. Under the Massachusetts workers’ compensation program, as our Boston workplace injury lawyers can explain, the pilot program requires a participation agreement from both the injured worker and the employer. Once they have entered into such an agreement, they will be assigned a case coordinator within a month’s time. The coordinator will work with the parties to find alternative treatment options to get the injured worker off opioids before it is too late. This program was established by the Massachusetts Department of Industrial Accidents (DIA), which is the state agency that administers the workers’ compensation program in the Commonwealth. A recent article from LexisNexis Legal Newsroom Workers’ Compensation Law takes a deep dive into the data from a 26-state state study on how opioid addiction reform efforts are working. Researchers looked at data from workers’ compensation insurance companies involving more than 430,000 workplace injury claims, all of which were non-surgical cases, and found that as high as 75 percent of workers in each state drawing workers’ compensation benefits, who were told to take some type of pain medication were taking opioids. This is alarming because opioids were designed to a treatment prescribed after conventional pain medications like ibuprofen were found to be insufficient. While there are many surgical cases where this is no question opioids are needed, these are all non-surgical cases of workplace injuries. This is an important distinction. Data also showed that these workers were given very high doses of opioids which indicates the injured workers have developed a very high tolerance and are likely addicted at this point. For example, when you have a wisdom tooth extracted, you might be given five or even ten milligrams of Oxycontin, but they also make these pills in very high doses such as an OC 80 or even an OC 160. If a person without a dependency and tolerance took even one of these pills, they would likely die, and many do each year, so this goes to show we are dealing with serious addiction issues. This is not to say that opioids are not needed in some non-surgical case, but the high doses should cause alarm to anyone, and when someone gets workers’ compensation for a cracked rib, and ends up addicted to powerful narcotics, something is not going according to plan. 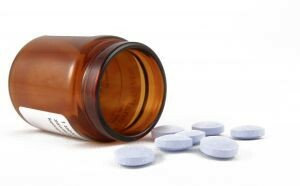 To make matters worse, the study also found that workers’ injured on the job were not only taking opioids, but were also taking powerful muscle relaxers and anti-anxiety medications like Xanax, which is a benzodiazepine that is also very addicting, and when taken in combination with opioids can lead to respiratory failure. One thing to keep in mind, is that while it often convenient to blame those addicted to the drugs, like the workers injured in Boston, this is a systemic failure as most people must be prescribed these drugs to get addicted in the first place. There are clearly some people who start using street drugs who were never addicted to prescription narcotics, but in the case of injured workers’ the problem likely occurred during medical treatment after being injured on the job. The reality is that the majority of injured workers, contrary to the belief of some, would much rather get healthy and get back to work as soon as possible and do want to be left with chronic opioid addiction problems. However, in some cases, the workplace injuries will be permanent and the impairment may also be permanent. In these cases, a worker injured in Boston must first be given a temporary incapacity rating and then have that converted to a permanent incapacity rating pursuant to Massachusetts General Laws (M.G.L.) Chapter 152, Section 34A. Under this section, the rating can either be for a permanent partial incapacity or a permanent total incapacity depending on the nature and extent of an injury. In the case of a permanent and total incapacity case, workers’ compensation benefits will be calculated as two-thirds of the average weekly wage (AWW) prior to the on the job injury, but it cannot be more than the maximum weekly compensation rate established by the DIA and changed from time to time, nor less than the minimum weekly compensation rate also set by DIA. These figures are changed to reflect current weekly wages and economic factors and are typically reviewed on an annual basis. These benefits are also separate and apart from any workers’ compensation benefits for past medical expenses, future medical expenses, the cost of rehabilitation services like physical and occupational therapy, and in the case of fatal on the job accidents in Boston, burial expenses. One of the issues that can aggravate the opioid crisis even further is that insurance companies will spend thousands of dollars on single injured worker, and then claim they are no longer medically necessary and attempt to immediately stop further treatment. Since it is very difficult to quit a missive opioid addiction “cold turkey” these injured workers are left trying to find drugs by buying them from other patients or turn to the street for illicit drugs like heroin which happens to be a lot cheaper than prescription narcotics at street prices.